Perhaps everyone should anticipate upset over the next seven days. Certainly following on from this Friday's important Full Moon, many people could be in excitable condition. 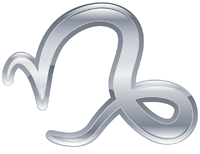 It perhaps doesn't help that for the first time since the 1930s, the Sun and Uranus align in the sign of Taurus. This is a new vibration for everyone. True, this may be ultra exciting and lead to many new connections. It is as likely however - and especially for those born under the Earth signs of Taurus, Virgo or Capricorn, - that old flames of passion will be reignited midweek. Containing these, or determining how best they can be used will likely dominate your thinking before next weekend. By then, it should also be clear that working arrangements have altered substantially. Whilst those of your sign like to give the appearance of being cool calm and collected, it is probable that your emotional balance will be disturbed. Friends born under the Water signs of Cancer, Scorpio or Pisces might offer the kind of support that is just what you need - prompting thoughts as to how best to treat them in return.